The site located in the heart of an industrial suburb has a state-of-the-art Spares Warehouse and a Corporate Office. 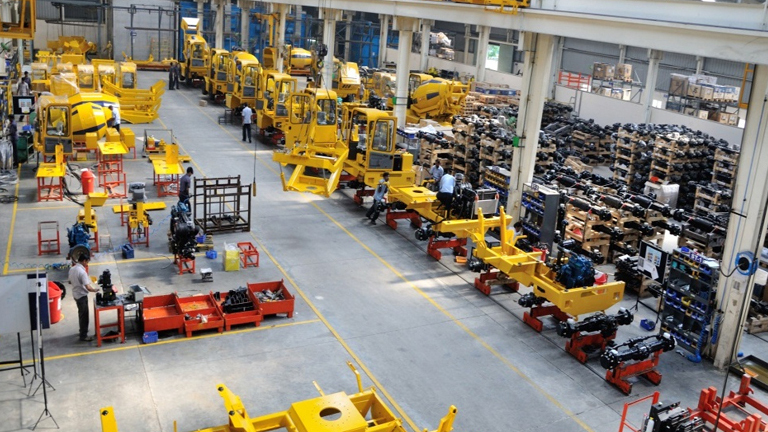 The warehouse located at the rear with a state-of-the-art stacking system houses the spares. 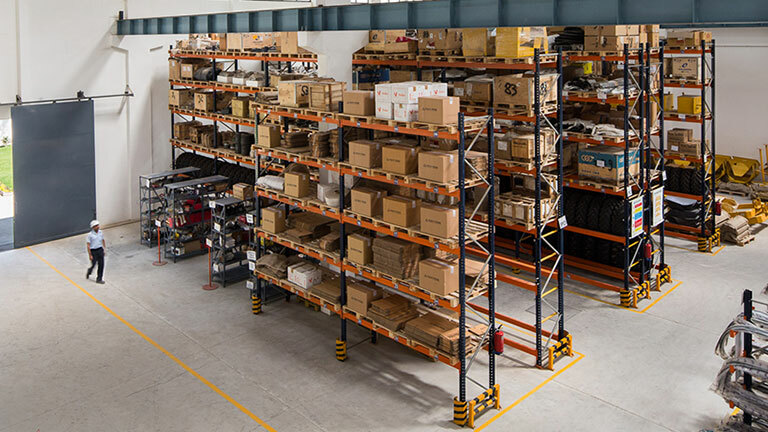 The spare parts facility housed in a 10,000 sq.ft area serves the entire Dealership Network of 31 Offices and 101 Touch Points. The building is an expression in concrete which also creates a subtle branding for the company. 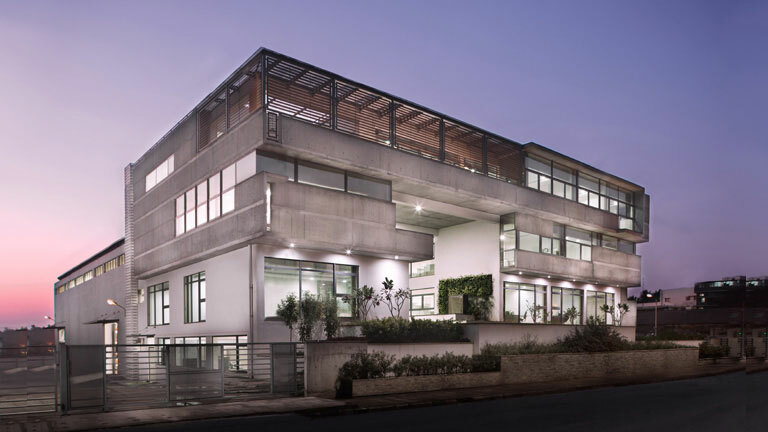 The south west facing corporate office was dealt by cantilevering the facade progressively above the floors thereby creating mutually shading surfaces and reducing the dependency on air conditioning. 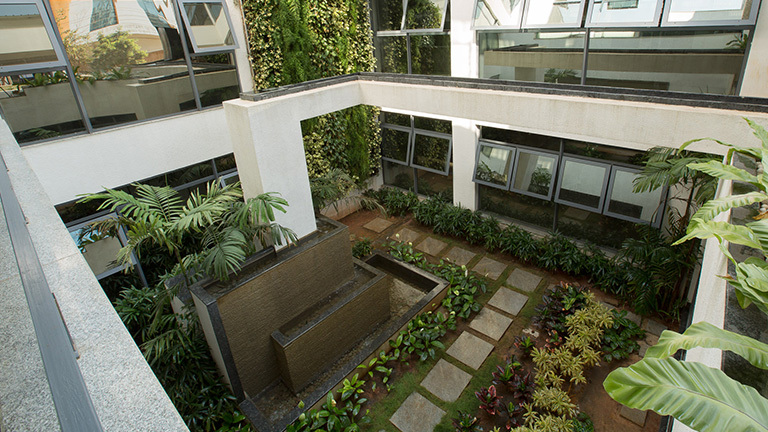 Less than 20% of the building is air conditioned which is a hallmark of its climatic design, adding to the beauty, a water trough that also acts as a natural humidifier which passively cools the office spaces. 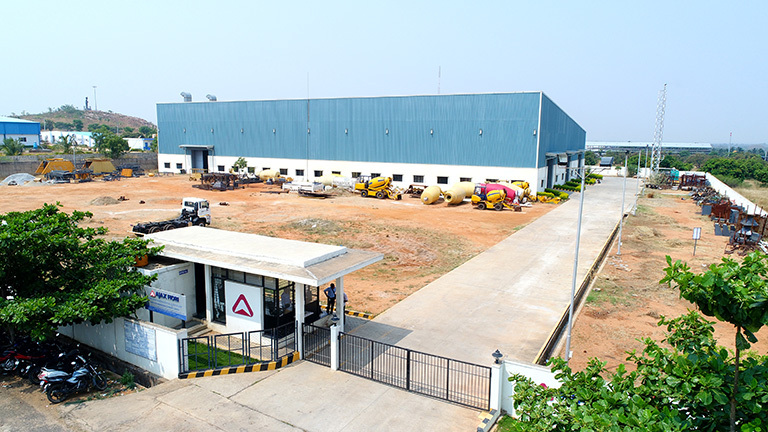 Started in 1992, this facility was the inception of AJAXs’ journey in the construction world. Situated in Bashettihally, 25 kms away from Bengaluru city, this premises falls under KIADB Doddaballapur Industrial Area. 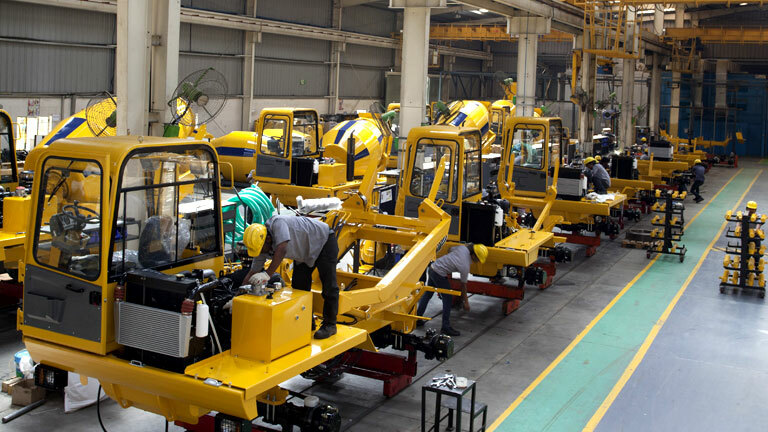 The plant was designed to accommodate manufacturing of SLCMs, parts storage area and testing area which was later converted to the current service centre of the company where complete over haul of the machines are carried down. 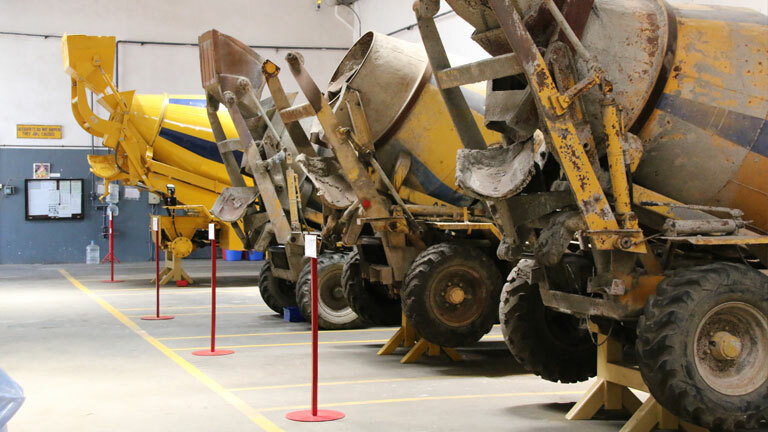 This facility helped AJAX grow its manufacturing capabilities from SLCMs to Concrete Batching plants and Transit mixers. 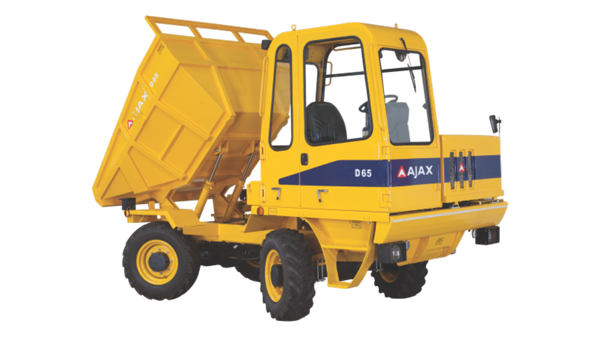 In 2011, AJAX felt in the need of expanding the manufacturing facilities which was fulfilled by the 2nd and the 3rd Facility in the vicinity of the current plant. 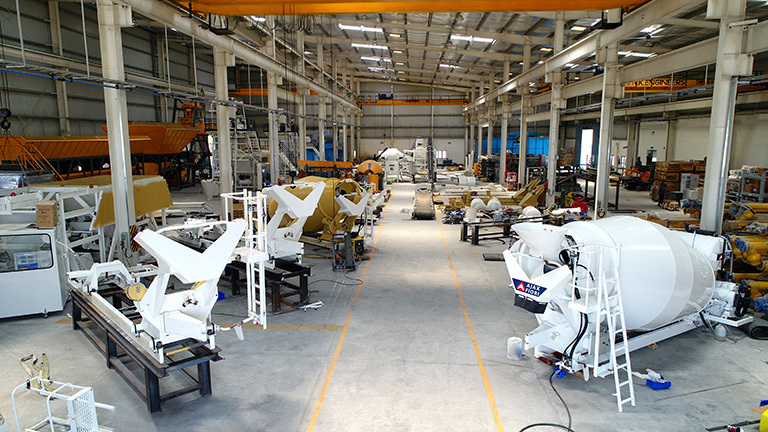 With the land area of 9000 Sqm and building area 4000 Sqm, this state of the art facility houses the entire assembly and manufacturing unit of Self loading concrete Mixers. 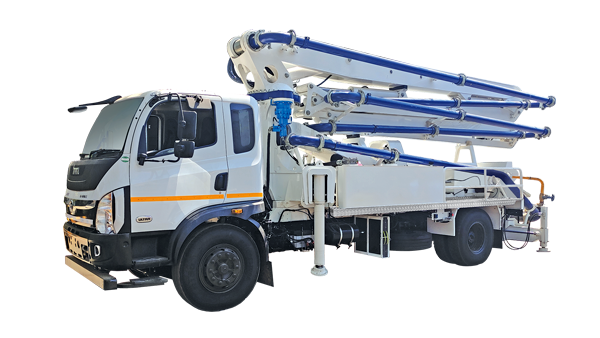 The facility is capable of rolling out an SLCM equipment in below 40 minutes. 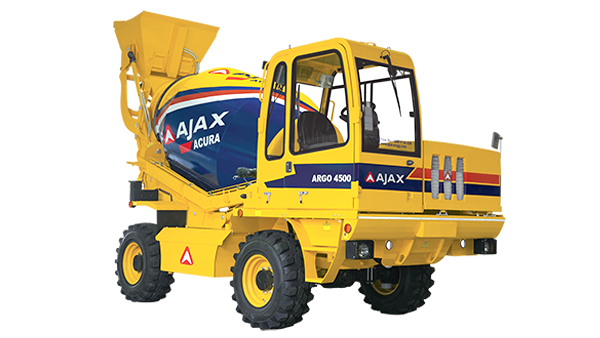 This plant also houses the Engineering and Design team of AJAX where all the innovation happens. 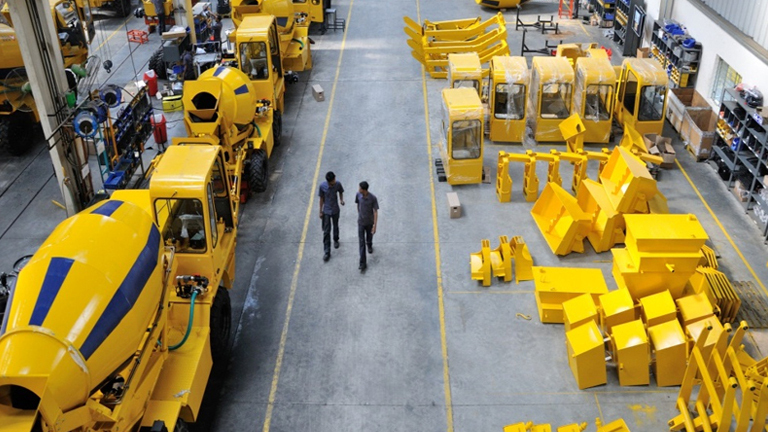 The Plant in its entirety is designed to be sustainable with the environment having vast gardens covered with Bamboo Trees, Rain water harvesting, paint and chemical processing units to ensure zero emission of harmful waste to the environment. 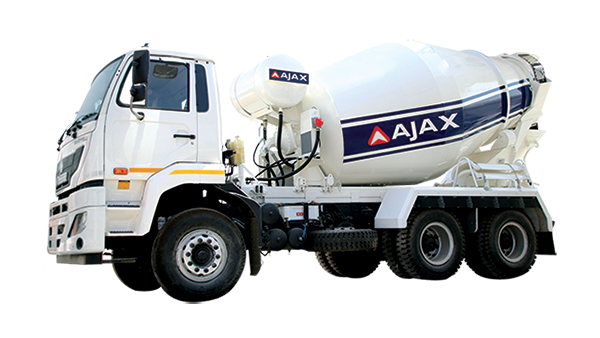 Inaugurated in 2013, houses the complete concrete batching plant and transit mixer assembly and manufacturing unit of AJAX. The premises also houses the testing facility for the equipment. 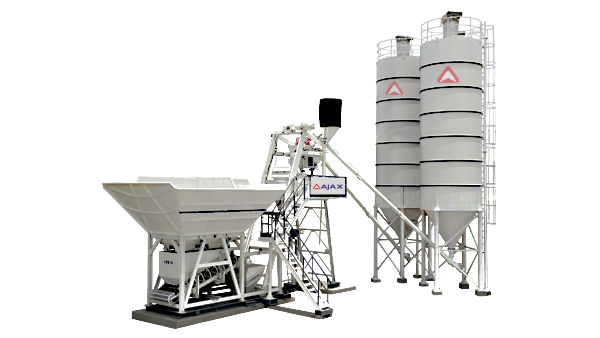 Spread in an area of 20,000 sq.m, this facility is the latest addition to AJAX’s setup in India which ensures the fulfilment of any requirement of Batching plants for our customers.